Watching your child play an organized sport can be a great thrill as a parent, as this is a chance for your little one to build early exercise habits, make friends, learn about teamwork and have a good time. However, it's important to make safety a priority for your child when he or she is on the field or court. 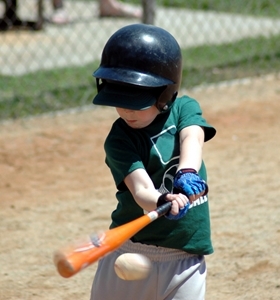 Here area few considerations to keep in mind when your young one starts playing a sport. One of the most common and potentially dangerous issues during organized sports for kids is dehydration. Many little ones simply forget to drink enough water before leaving the bench, which can result in numerous health issues, like exhaustion and overheating. Make sure your child has plenty of water to drink prior to game time and stays hydrated during the activity. Kids are bound to hurt themselves during physical games, but you should be especially careful about any injuries involving the head or neck. While it may not seem serious at the time, even mild brain trauma can potentially result in more serious mental or physical issues down the road. Similarly, damage to the neck can put children at risk of paralysis, so seek medical attention just to be safe during these instances. Going from a state of inactivity to intense exercise isn't good for anyone, particularly young children. Because of this, it's important to help your little one warm up and stretch before playing a sport. Additionally, having time to cool down after exercising will allow your little one to slow his or her heart rate and calm down before resting.